Breakthrough Golf Technologies (BGT) is the latest venture from industry veteran Barney Adams, founder of Adams Golf and Tight Lies woods. This time however he is focusing on the short game -- specifically putting and putter shafts. BGT is a stability putter shaft designed to improve putter-specific motion and performance. According to BGT "It increases flexural rigidity and significantly reduces torsional rotation through BGT’s patented design. It limits unwanted movement by stiffening the shaft by 25% without abolishing feel and reducing torque by almost 50%, to deliver the club face squarer at impact." To the layman the BGT shaft is designed to keep the putter face from twisting, deliver a more consistent face angle that will produce a more consistent roll with enhanced distance control and feel. When you see the BGT shaft you realize that something is different. The first 5 inches or so from the head is your basic steel shaft. Then it gets interesting. From there you have a aluminum connector to a black graphite carbon fiber shaft. Very stealth looking-in a good way. The BGT shaft can be fit with any putter head and grip. I don’t have sophisticated high speed cameras and leading edge computer technology to do testing but what I do have is my hands, ears and a scorecard and by these measures BGT works. The BGT shaft is slightly heavier than your typical steel shaft and that is noticeable on the first few putts one takes. But like any new club or shaft, after a few practice sessions, the putter becomes dialed in. The feel, at least by this golfer, is enhanced. Vibration is lessened, the stroke seems more consistent and stable and as a result more putts are holed. Better yet, long distanced lag putts become much easier. When it comes to stats, the one I like best is how does the equipment help me perform in competition. The first tournament I played in with the BGT resulted in a T-1 on super fast undulating greens. Call it what you want, but the performance of the BGT shaft helped instill confidence in all areas of my game. It’s not too often that a golf product lives up to its claim, and I must admit I was a little skeptical at first. But after a few rolls one can easily see, and feel, that the BGT technology is lives up to such claims and more. 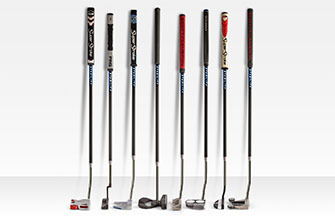 The Stability shaft retails for $199. At first blush that seems like a lot of money for a putter shaft. 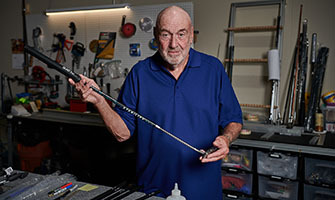 But, like many avid golfers that go through many putters throughout the season, I quickly came to believe that it was the putter shaft all along that was the difference for the most used and perhaps most important club in the bag. And when you think about it that is still a discount when compared to a high priced driver shaft. The Stability Shaft is available at select retailers and at www.breakthroughgolftech.com.